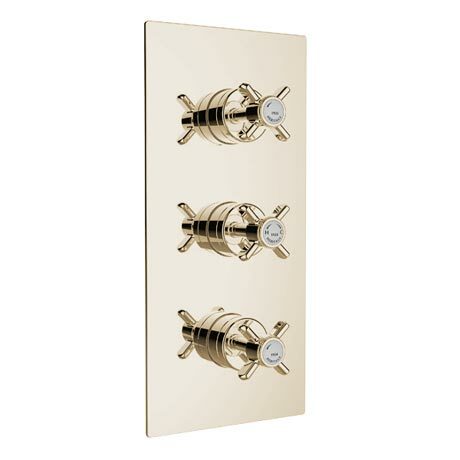 The luxury traditional Dawlish dual control concealed thermostatic shower valve with twin integral stopcocks, manufactured from brass with a polished chrome finish, Heritage's elegant range of shower valves are precision engineered to provide a luxury showering experience. The shower valves are thermostatic so the water stays a consistent temperature even if the water pressure fluctuates. Quality assured by a 5 year guarantee. Flow rate at 0.2bar (open outlet without flow regulators) is 9LPM from stopcock. 12.9LPM from both outlets together. Concealed valve with integral diverter which allows use with both a fixed head and flexible handset.